Their faces are as telling as the wounds they suffered. Unlike Mathew Brady, who was a commercial photographer, Reed B. Bontecou was an army doctor: He took photographs of wounded Civil War soldiers in the first systematic attempt to study combat injuries and the procedures used to treat them. 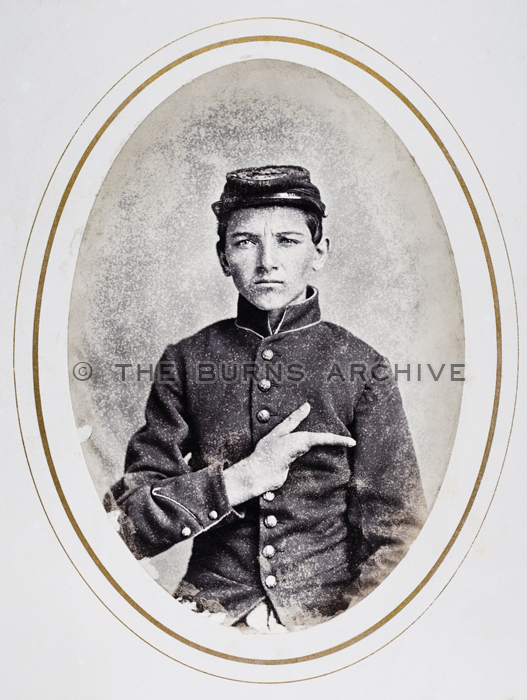 "Robert Fryer, private, Co. G, 52d N.Y. Vols., aged 18" stares at us from an oval frame. His kepi is on his head, and against his uniform jacket with its long row of brass buttons he holds his right hand: Only his thumb and forefinger are left. His look expresses neither pain nor self-pity, but his troubled attempt to understand his experience. There are two pictures of "David R. Templeton, Private Company A, 46 N.Y Vols., age 16, …. with gunshot wound of the head." The first must have been taken soon after he lost his eye, since the left side of his face is covered with blood and he seems to be suffering. In the second photo, he has been cleaned up and dressed, his hair combed, but his one open eye expresses the same dazed puzzlement as Pvt. Fryer. Other soldiers have other parts of their bodies violated or missing. Dr. Bontecou's brief descriptions of where and how each patient was injured, the treatment he received and the outcome—"parts healed kindly," "gradually sank and died"—are posted in notebooks attached to the display cases. Excerpts from Walt Whitman's "Specimen Days" describing his experiences working as a nurse in Union military hospitals provide context. 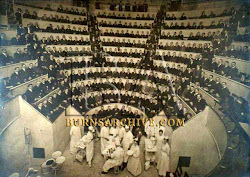 The photographs come from the extraordinary collection of Stanley Burns, a New York physician.